Are you or a loved one suffering from a drug or alcohol dependency issue based in Manchester? 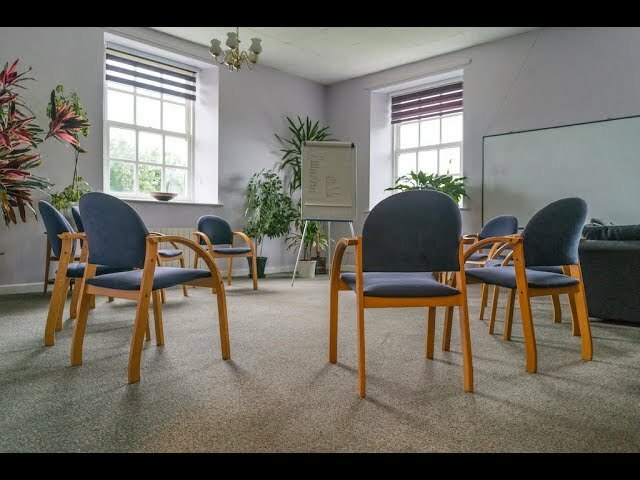 Linwood House is a private detoxification and rehabilitation centre based in Barnsley. As Linwood House is only 40 miles away from Manchester, our private rehab centre is the ideal place for immediate and effective treatment. For more information on our drugs and alcohol admission process, call now on 01226 422 437, we are open 24 hours a day. Before anyone can go through the rehabilitation process, it's critical that the addictive substance, whether it is drugs or alcohol, is removed from the body. Each patient enters our residential rehabilitation facility with their own unique set of circumstances and addictions. Therefore, the process of detoxifying the body from addictive substances can vary. For instance, if the patient is addicted to heroin or alcohol, a substitute drug can be used to help with the detoxification process. Unfortunately with cocaine, there is no substitute pharmaceutical drug available to help ease the withdrawal process. However, we can treat symptoms for the side-effects of cocaine withdrawal accordingly. At Linwood House, we have a wealth of experience in dealing with drugs and alcohol dependency. Our dedicated staff are available around the clock 24/7. After successfully withdrawing the addictive substances from the body, the psychological stage of rehabilitation can begin. Without completing drug or alcohol rehab, it is likely that the patient may return to familiar habits and could potentially relapse. For long-term success, it is vital to give patients the skills necessary to resist and overcome any temptations in the future. Residential treatment at Linwood House allows patients to start a new journey towards the road to recovery. You'll be supported by our dedicated staff every step of the way. This form of psychotherapy looks at how your thoughts, beliefs and attitudes affect your feelings and behaviour. This type of treatment can help to change your thoughts and associations relating to drugs and alcohol. This globally recognised approach was developed by Alcoholics Anonymous. This involves group sessions where users share their stories and experiences to help others remain and maintain abstinence. Patients will also be involved in one-to-one sessions, auricular acupuncture, art therapies and skills-based therapies. After leaving our residential rehab centre, you'll have the skills and attributes to help return to a healthy life and continue on the road to recovery. After someone has been into our drug and alcohol rehabilitation centre, our work doesn't stop there. At Linwood House, we offer ongoing support and free aftercare for 12 months. If you or a loved one are based in Manchester and needs access to immediate treatment, call us on 01226 422 437, we are open 24/7.